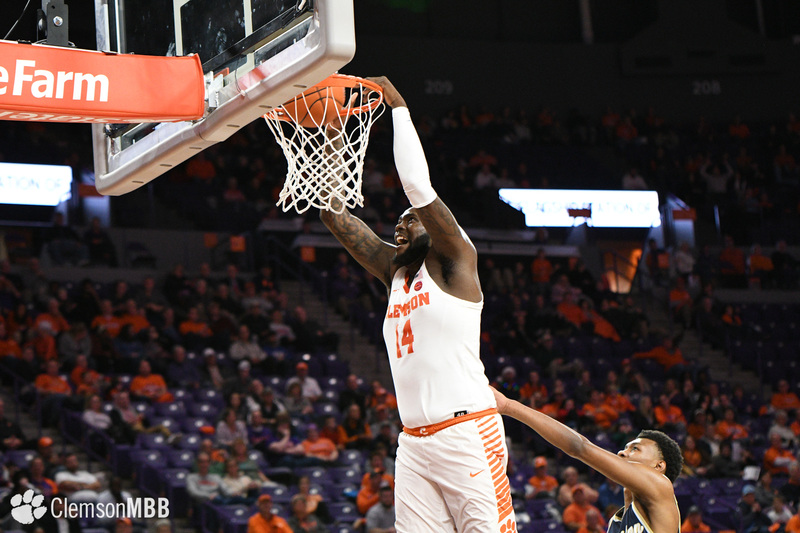 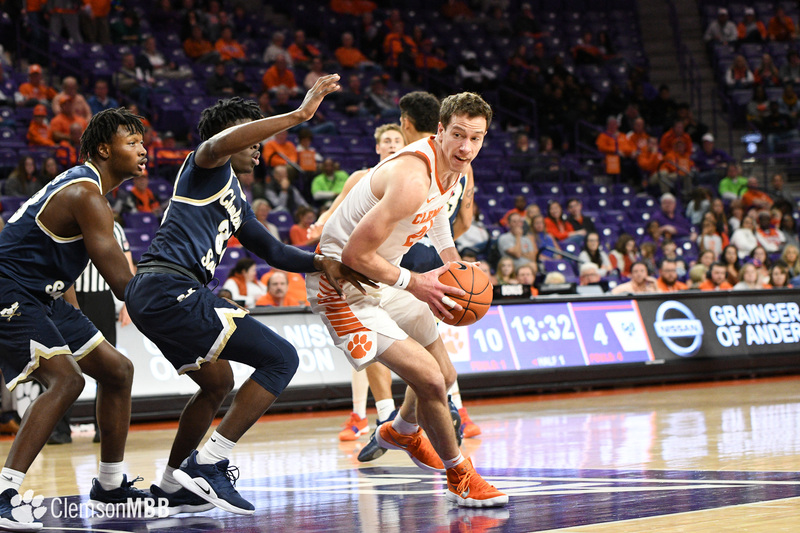 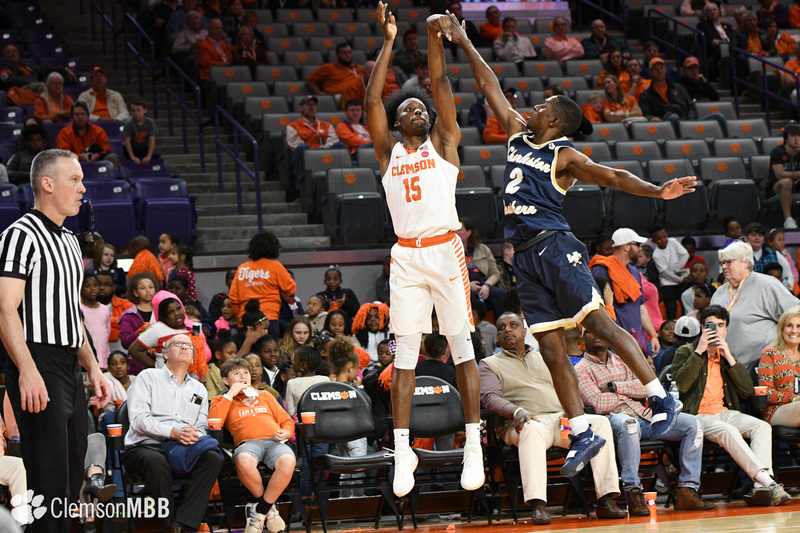 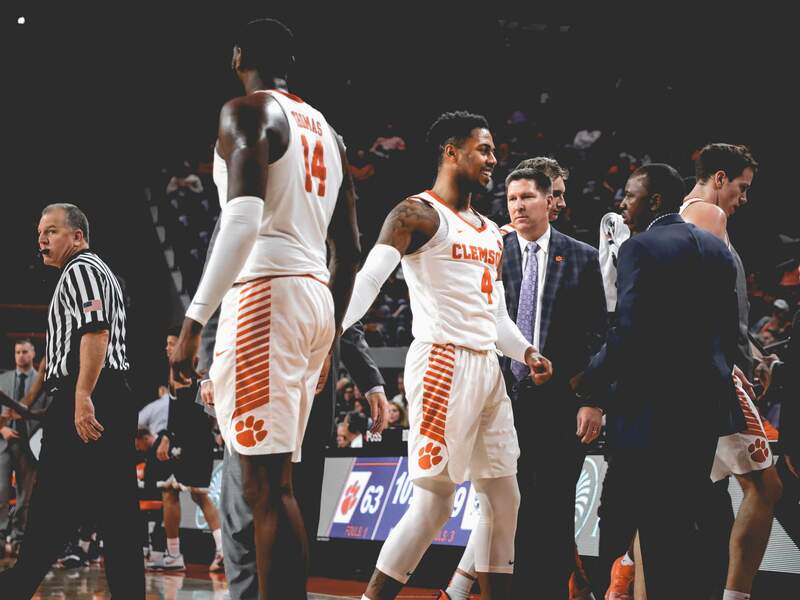 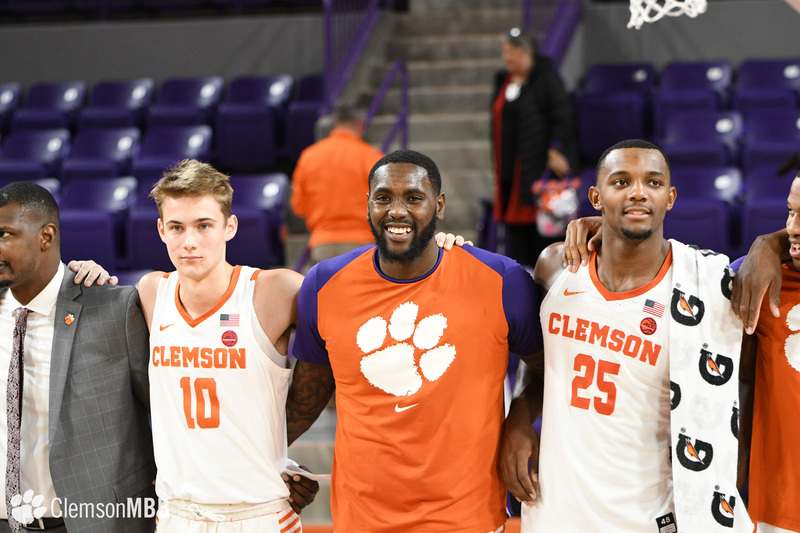 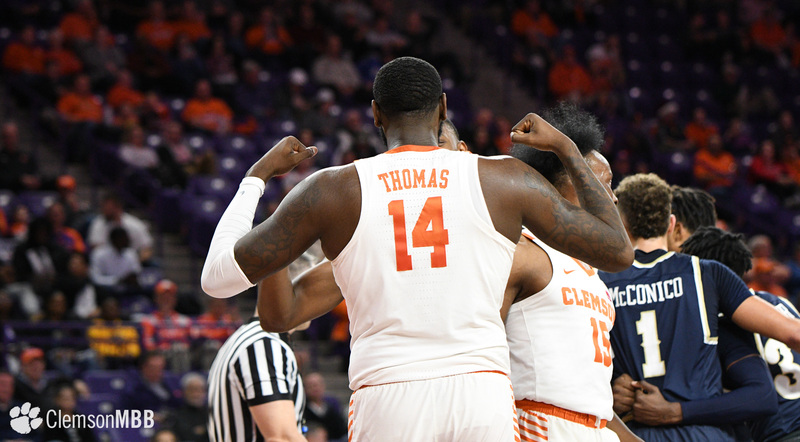 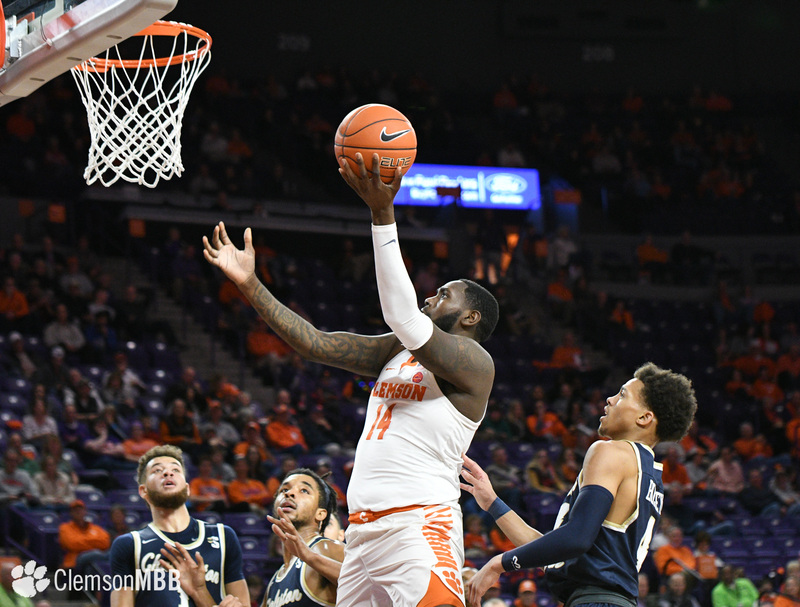 CLEMSON, S.C. — Elijah Thomas posted his fourth double-double this season and 15th of his career with an ultra-impressive 25-point, 14-rebound and four-block effort that led Clemson University men’s basketball to a dominating victory over Charleston Southern, 78-51, on Tuesday night. 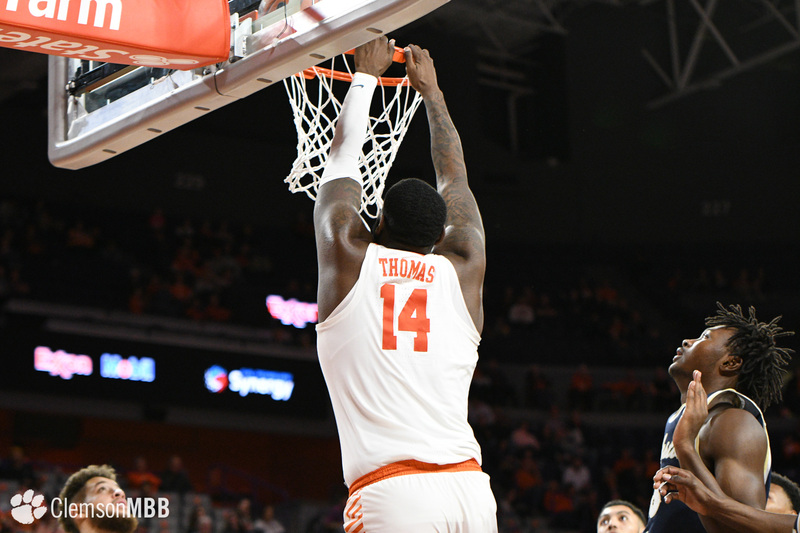 Thomas finished the game 9-for-12 from the floor and 7-for-10 from the charity stripe. 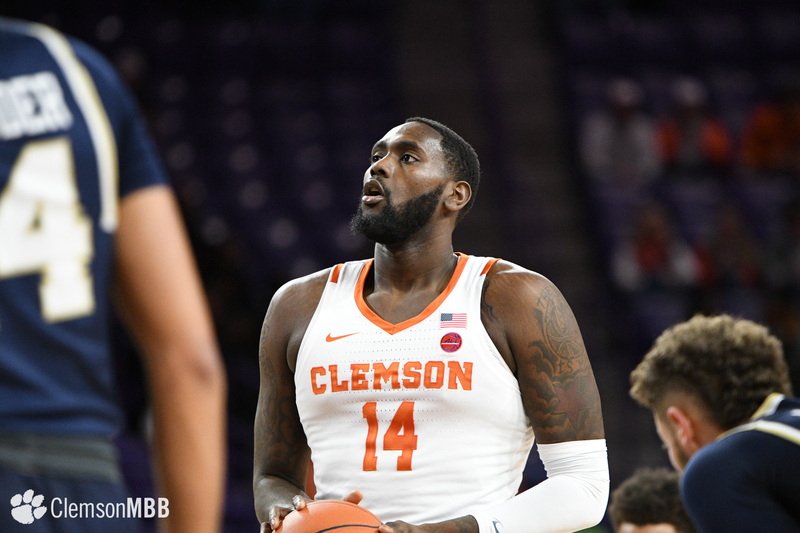 The senior big man chipped in two steals and an assist to round out his performance. 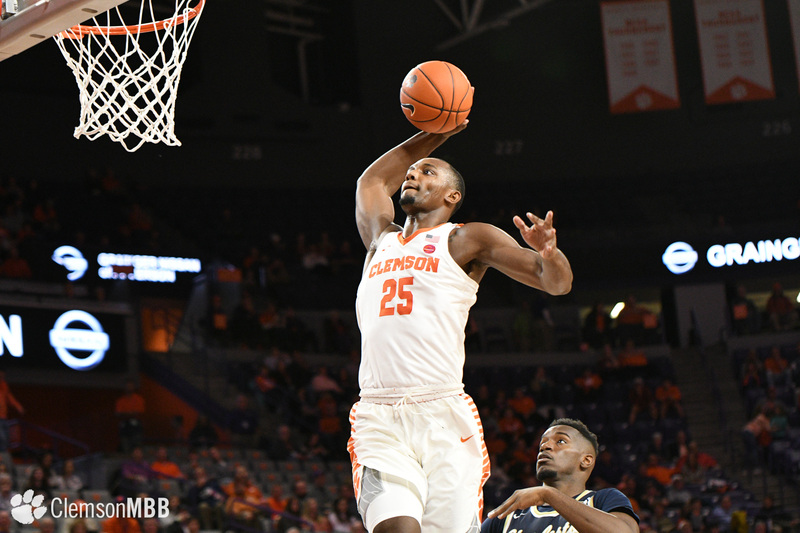 Aamir Simms, who went his first six shots from the floor without missing, finished the game with 15 points, including three 3-pointers. 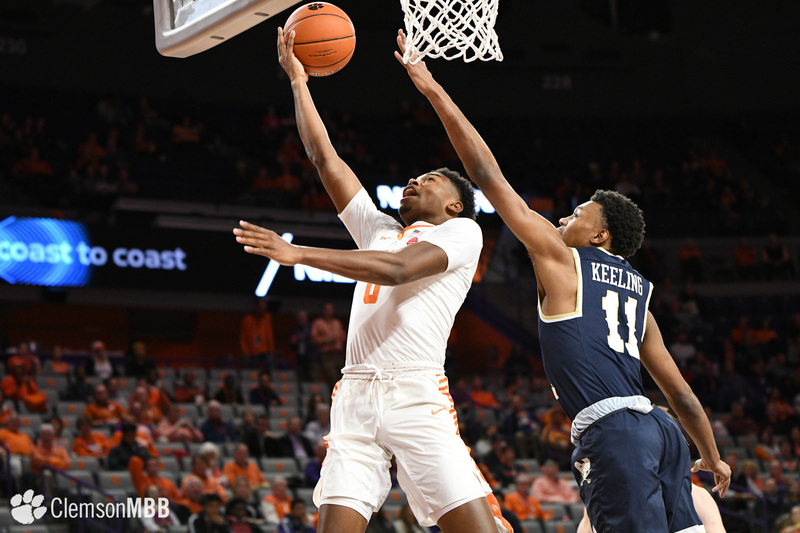 Shelton Mitchell posted with 14 points and a team-leading six assists to go along with three steals. 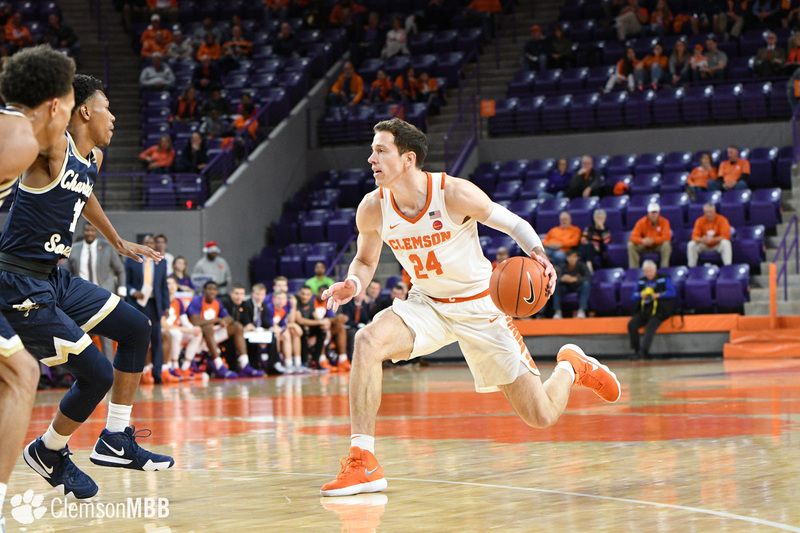 Mitchell’s bucket at the 4:55 mark of the opening stanza gave the graduate senior guard exactly 1,000 points scored for his career. 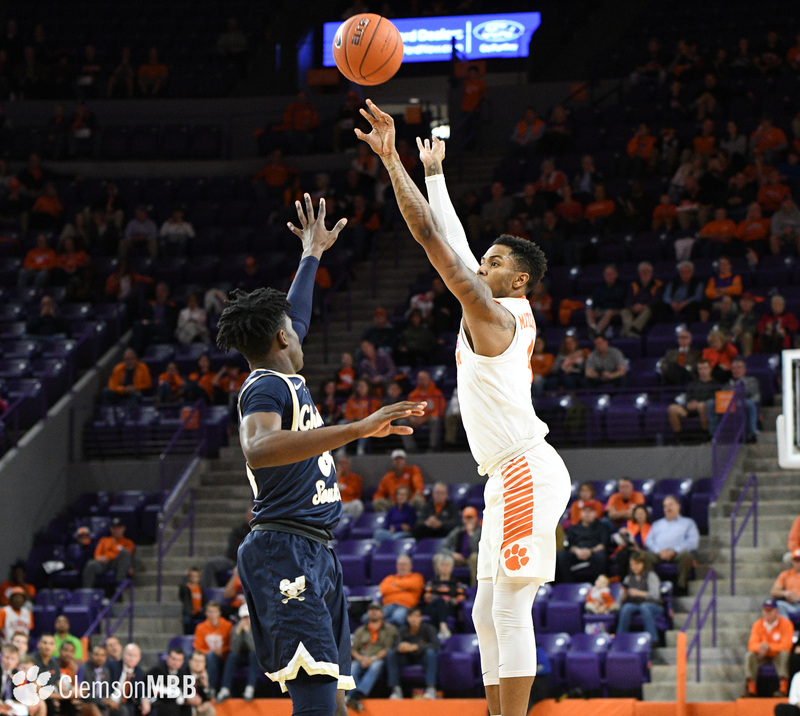 Shelton Mitchell (@SMitchell_4) with the Euro step for 1,000 career points! 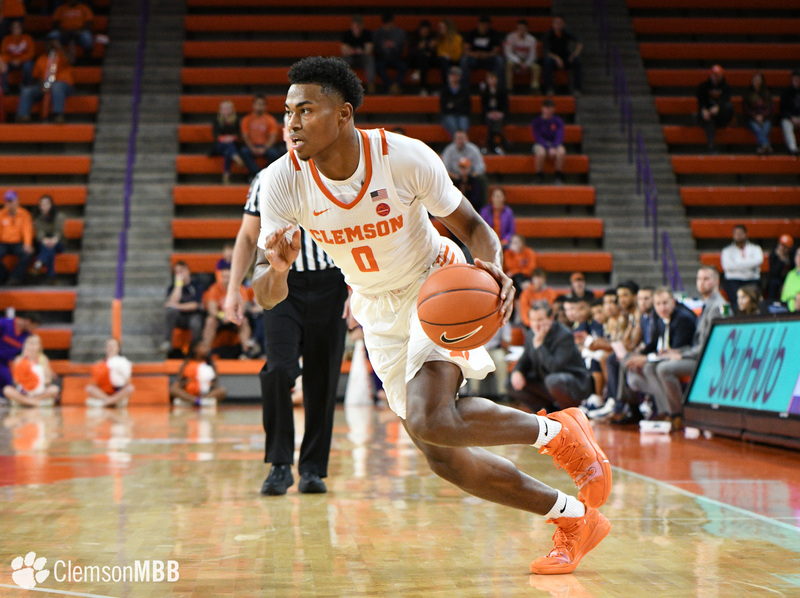 The Tigers (8-3) led by as many as nine points in the first half but took an eight-point lead into the locker room. 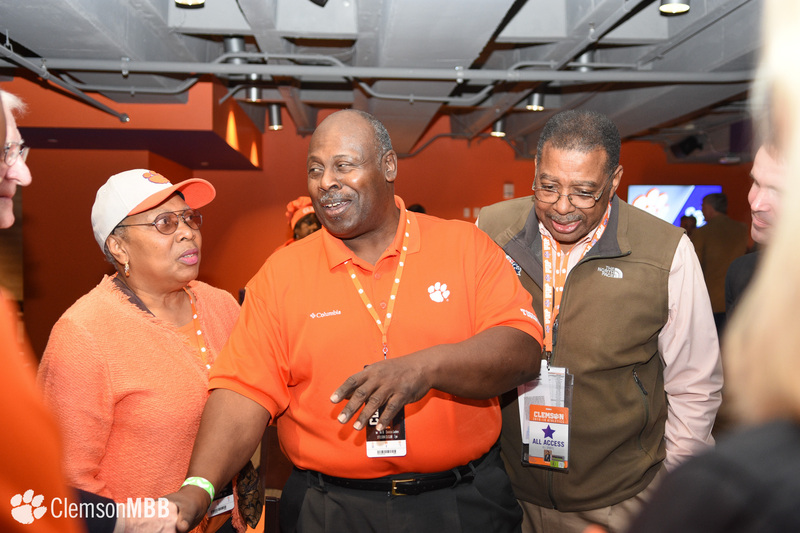 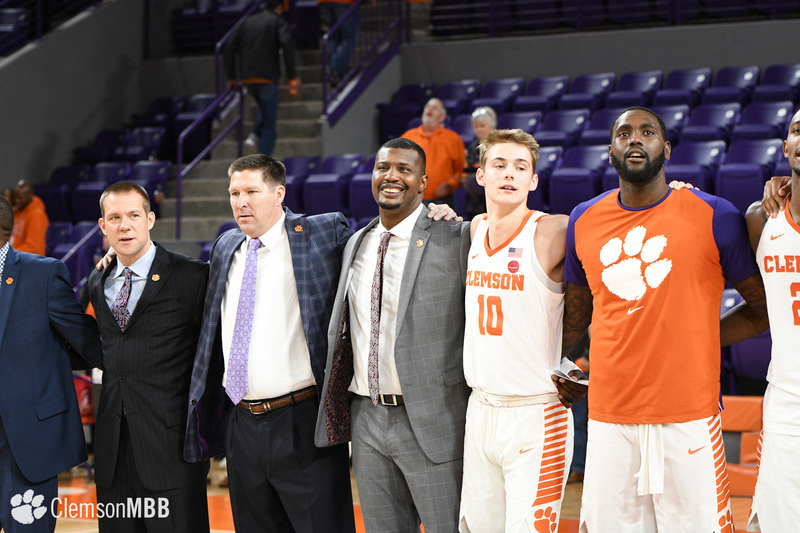 What happened immediately following halftime, however, was something the Tigers hadn’t done for a while. 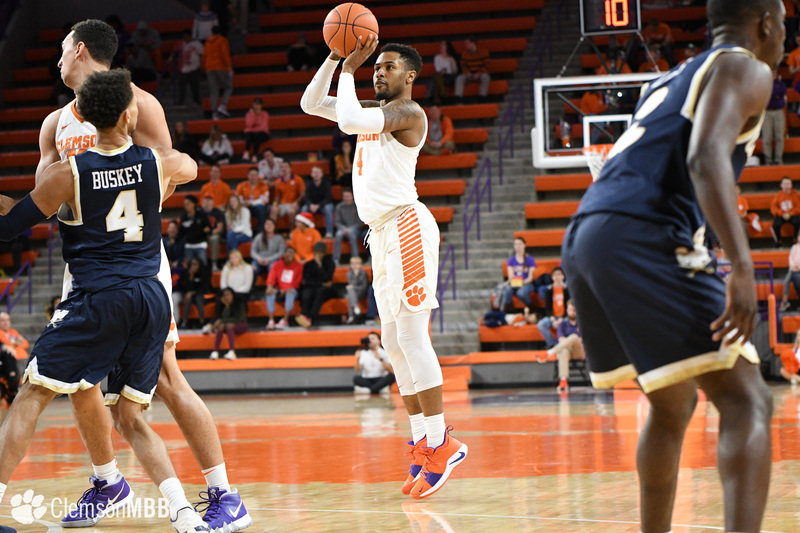 With a halftime score of 35-27, the Tigers opened the second half on an incredible 18-0 run sparked by back-to-back 3-pointers from both Mitchell and Simms. 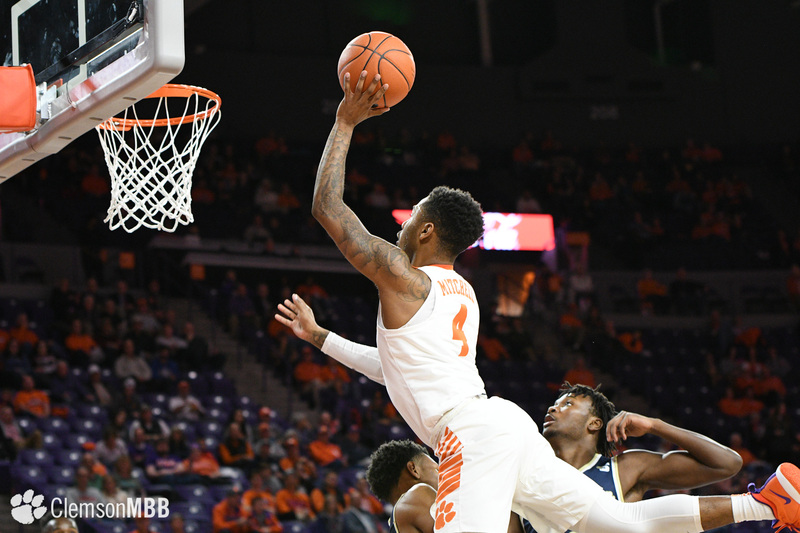 It only took 3:29 into the second half for the Tigers to build the 26-point lead. 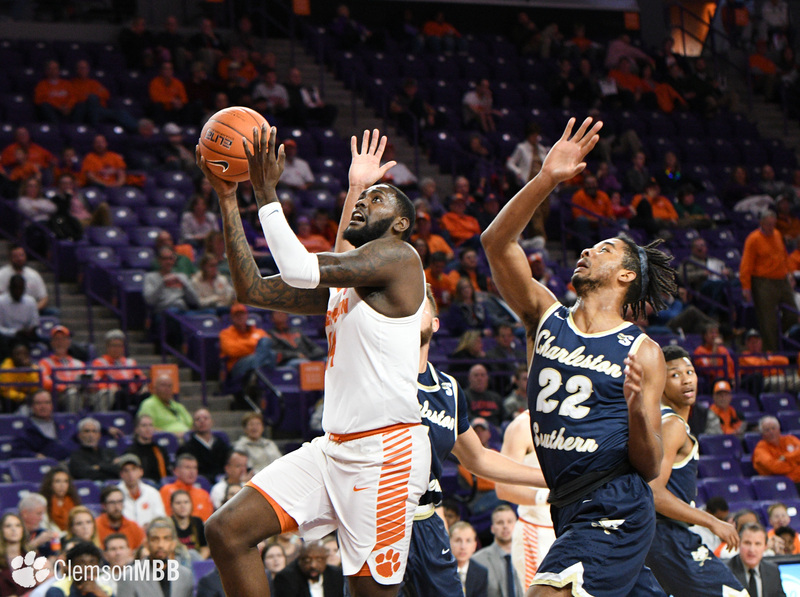 Dating back to the first half, in total, the Tigers completed a 21-0 run during the game. 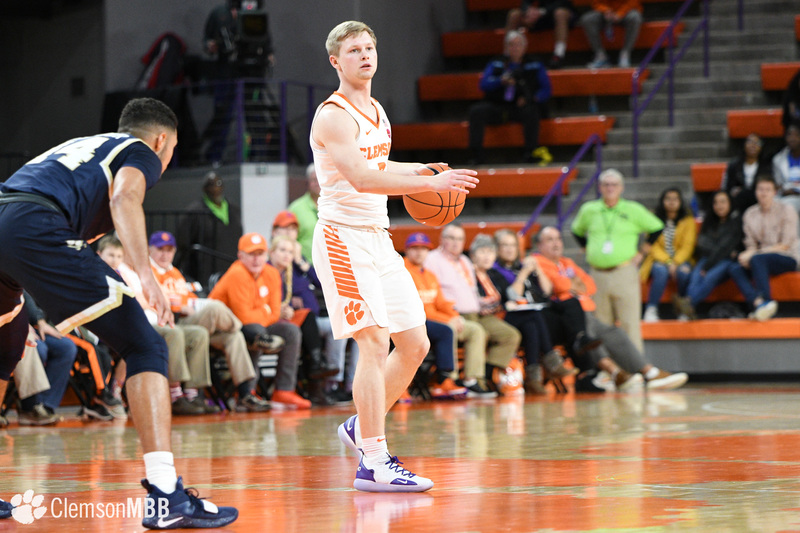 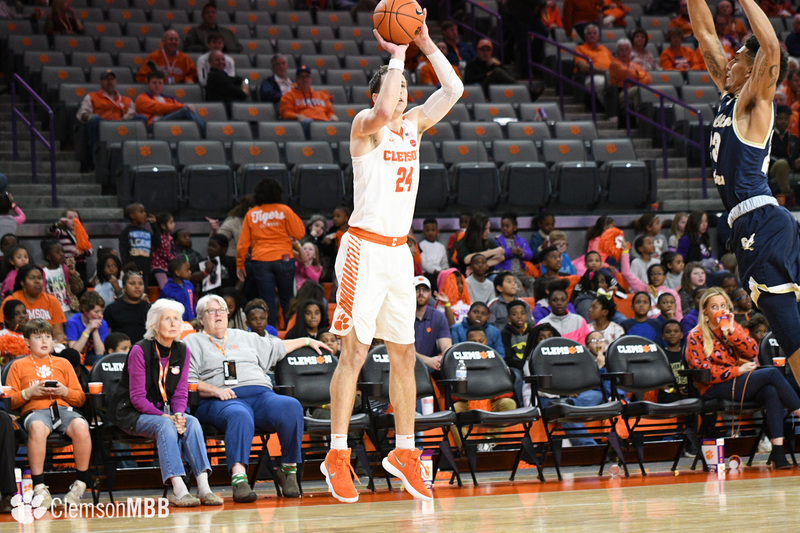 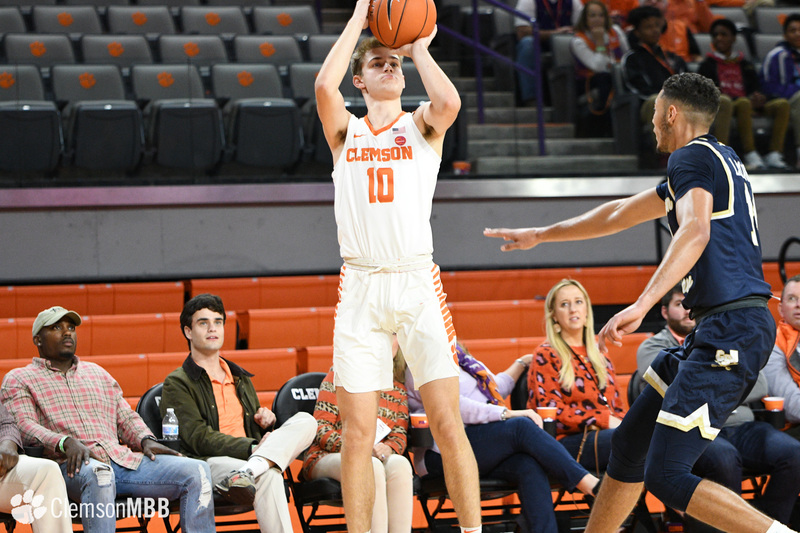 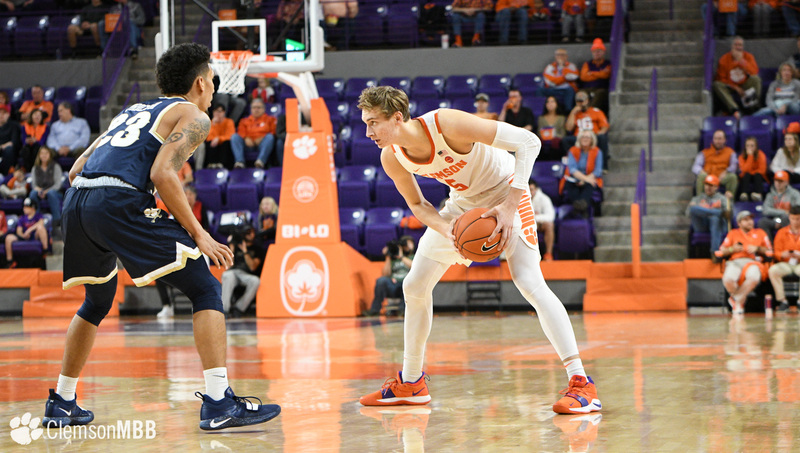 Freshman Parker Fox entered the game with a little over a minute remaining and proceeded to cash his first career points on a 3-pointer to cap the night for Clemson. 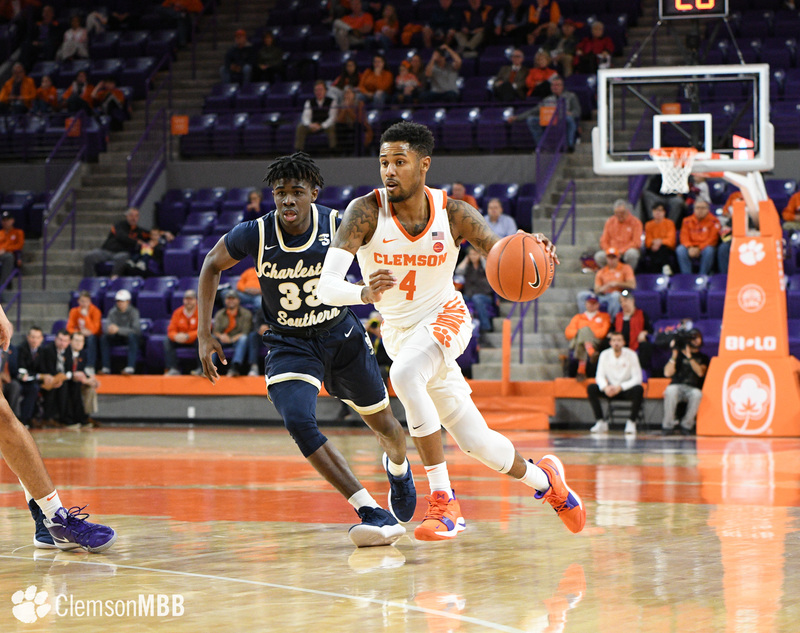 The Tigers coasted to the 27-point victory. 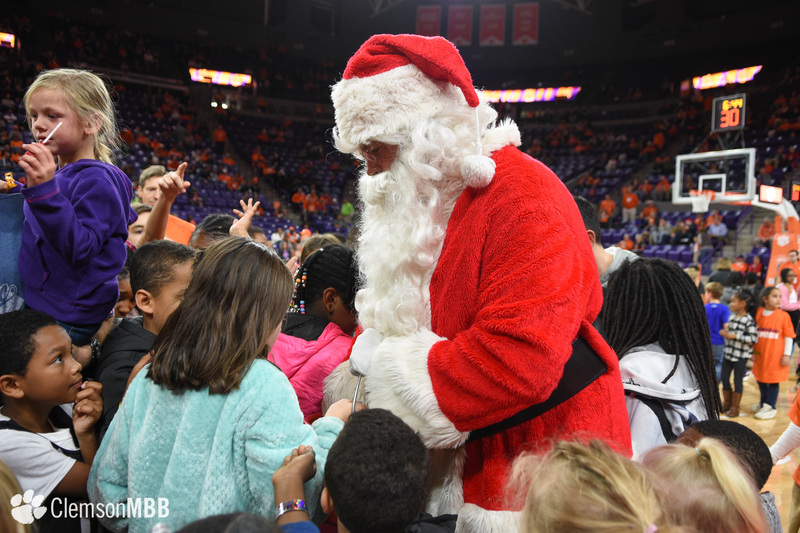 That’s our leader – one of the best to ever do it! 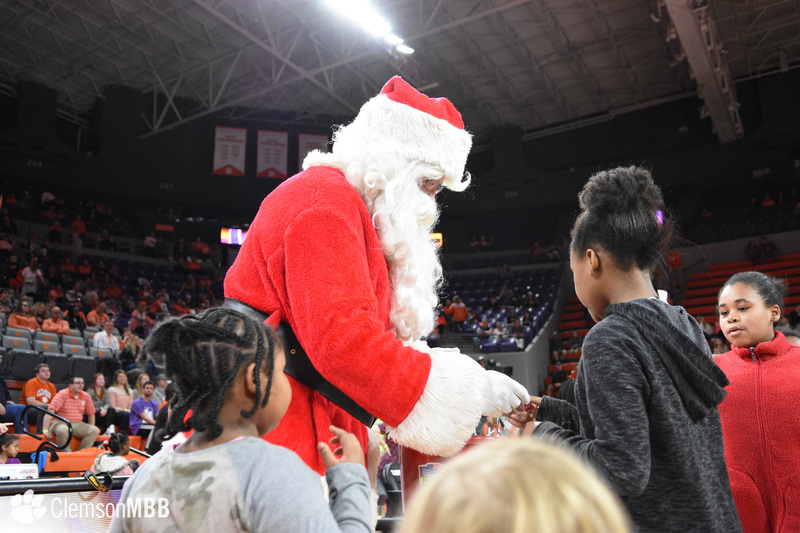 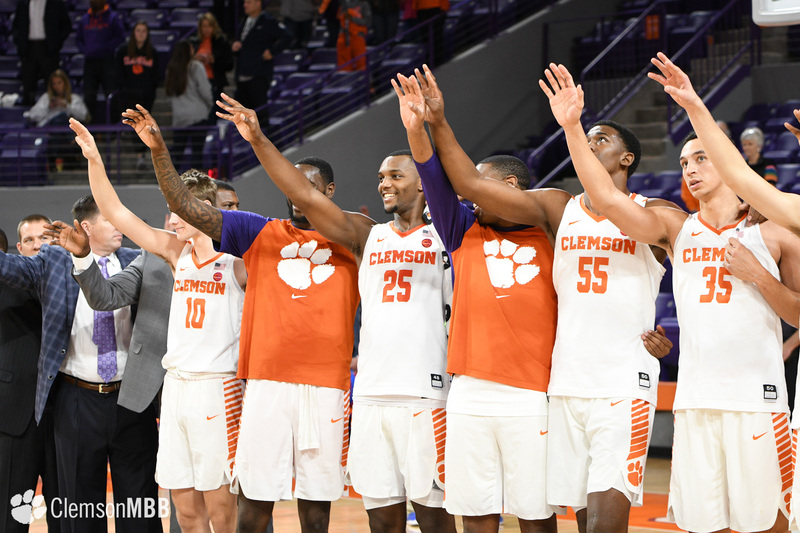 Clemson returns to the floor on Saturday, Dec. 22 when it travels to in-state rival South Carolina. 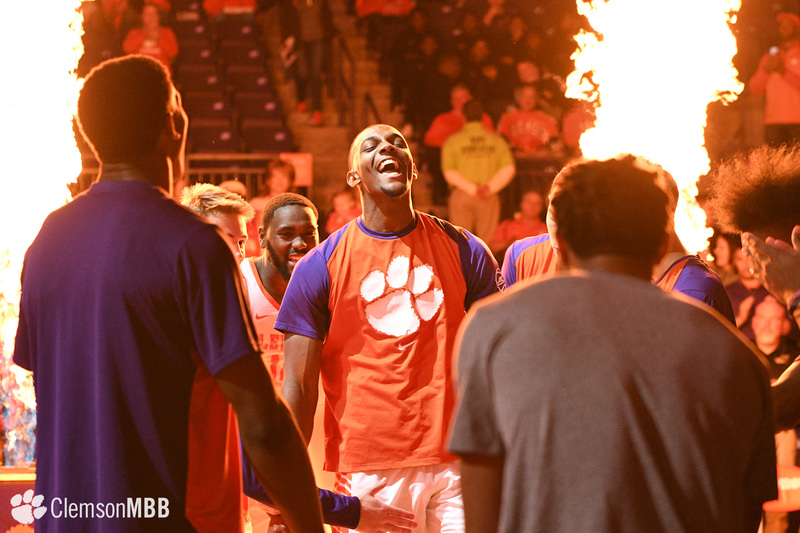 Tipoff is slated for 2 p.m. on ESPN2. 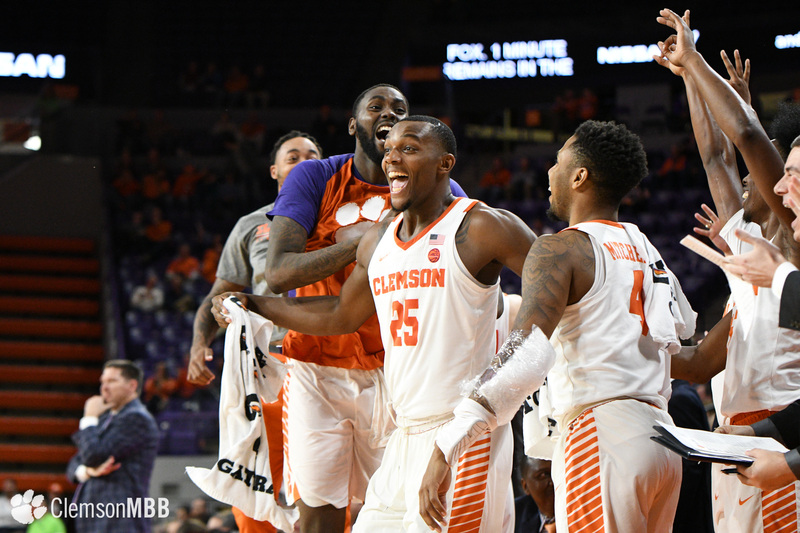 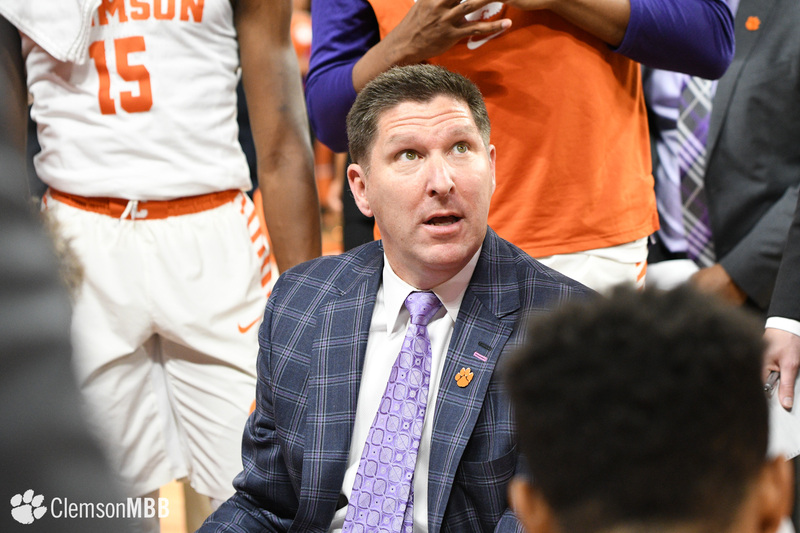 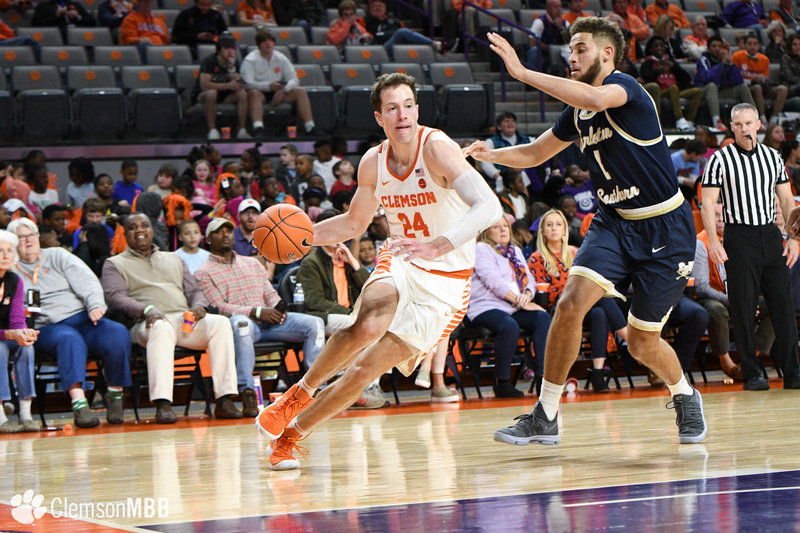 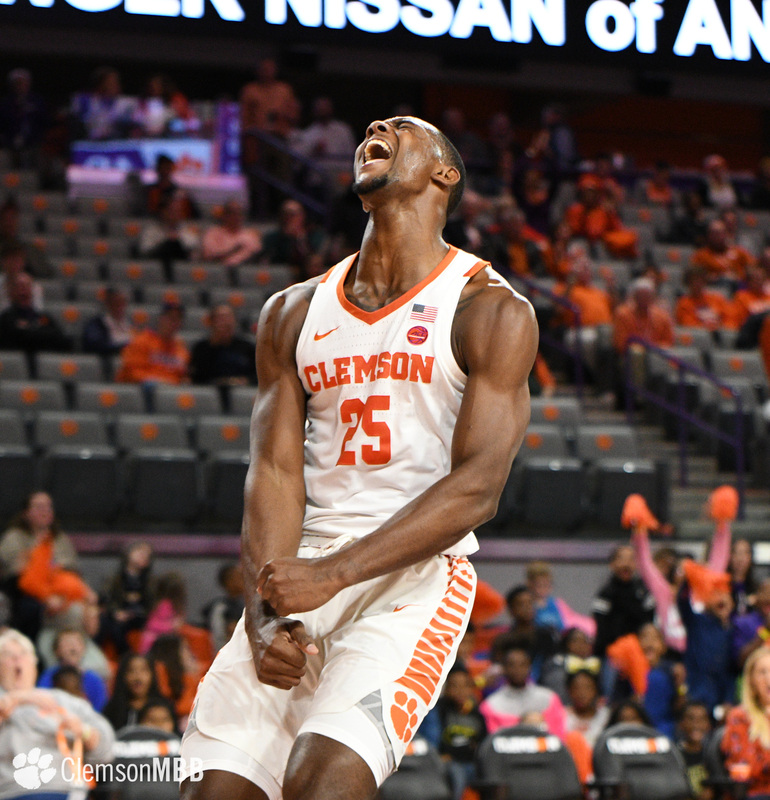 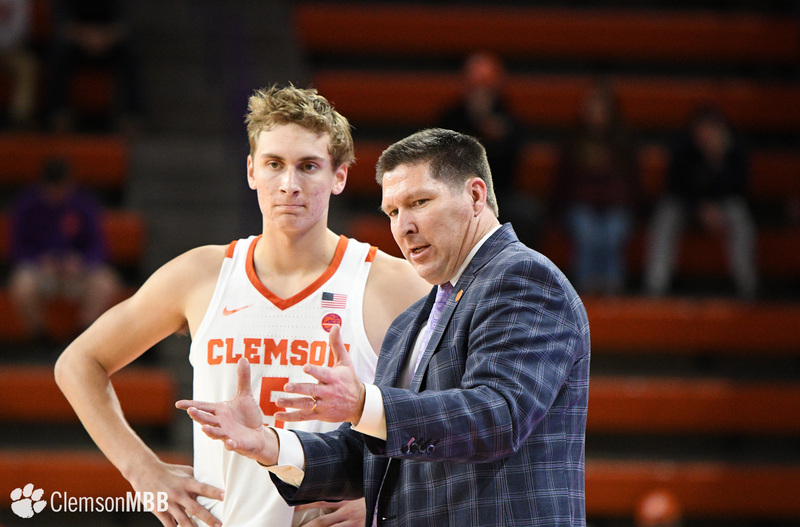 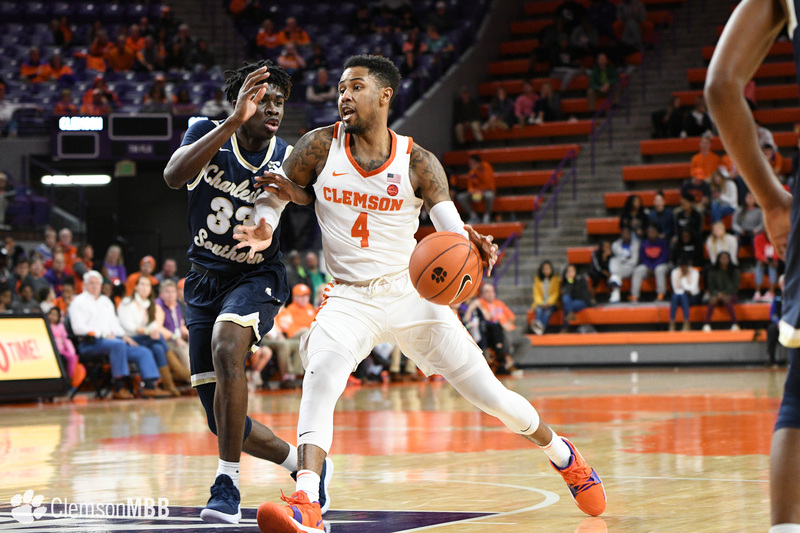 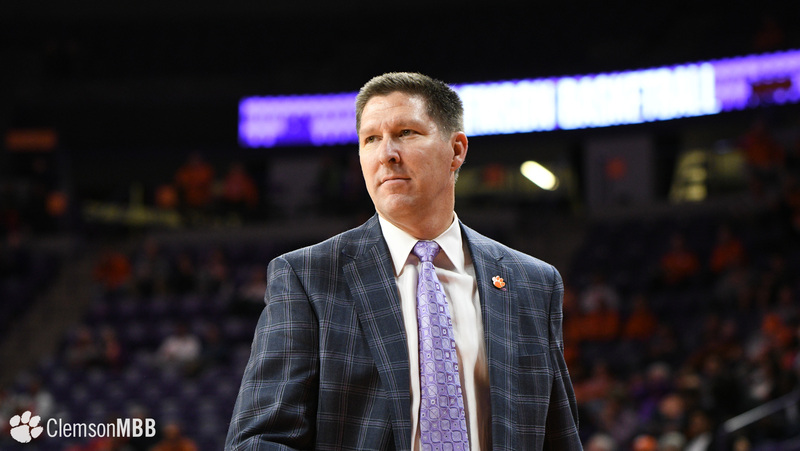 Notes: With the win, head coach Brad Brownell passes Bill Foster for second all-time in wins at Clemson (157) … Elijah Thomas posted his fourth double-double of the season and 15th of his career with a 25-point, 14-rebound effort … the Tigers improved to 12-3 overall when Thomas records a double-double … Thomas blocked four shots for a season high … Thomas is now just three blocks shy of tying John Campbell (1977-80) for 10th all-time in Clemson history (123) … both Thomas’ point total (25) and rebound total (14) were also season-highs … Shelton Mitchell eclipsed 1,000 career points with a 14-point performance … Mitchell is still 123 points shy of notching 1,000 points in a Clemson uniform (877) … Clyde Trapp tied his career-high with three steals … Hunter Tyson set a season-high with two blocked shots … Trey Jemison recorded his first career rebound … Parker Fox recorded his first career points on a 3-pointer late in the contest … the Tigers shot 58.0 percent from the floor – only been outdone once over the last 46 contests (61.2 percent vs. Texas Southern on Nov. 24, 2017).